Bottoms Farm Cottages01535 607720work Self-cateringBottoms Farm Cottages are converted from a 200 year old barn to the highest standard located in Oakworth near Keighley. South-facing and situated in the middle of our own 35 acre sheep farm with stunning views of the surrounding countryside and moors, even the water is from our own spring! Further afield there are lots of fantastic places to visit, Haworth 4 miles, Skipton and the Dales 8 miles. All cottages have heavily beamed ceilings and galleried landings. We pride ourselves on our housekeeping standards, all cottages cosy, warm and spotlessly clean. 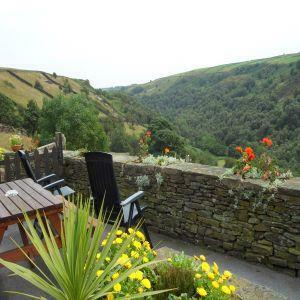 South facing accommodation with spectacular views and waymarked walks from the doorstep. Many visitors return year after year. Local renowned real ale pub with log fires serves good pub food. Plenty of animals to see such as our pony, sheep, pygmy goats, geese, ducks, hens and aviary with selection of birds. Breathe in the country air whilst relaxing on our patio area which is ideal for barbecues in the summer. Weekly bookings are 4pm Friday until 10am the following Friday. Friday to Monday and Monday to Friday breaks available all year except school holidays. Discounts for under-occupancy if the cottage you require is booked. Please ring for details. From Laycock take the left fork onto Todley Hall Road and proceed for 1 mile. Bottoms Farm is on the left-hand side.